Sussex appointed their former batsman Murray Goodwin as their new batting coach. Goodwin, 43, spent 12 seasons with the club as a player and was an integral part of the side that won three Championship titles and five limited-over trophies between 2003 and 2009. Goodwin, who was confirmed as a vice-president of Sussex in early 2015, said: "I believe I can bring to a very talented squad some belief and options on playing certain situations in all forms of the game. I'm hoping to try and add a winning culture to this talented squad. "I am grateful for the opportunity to come back to my second home. When I applied for the role I was always hopeful but to actually have been considered above the many applicants who applied is very humbling." Sussex's head coach Mark Davis said, "I am thrilled to have Murray Goodwin joining us. His vast batting experience, gained from many years of first-class and International cricket all over the world, will be invaluable. I am confident Murray's relentless approach to batting and his technical expertise will be of great value throughout the Sussex Cricket pathway. "He has a brilliant work ethic and a passion for teaching the game, which is a vital ingredient in any elite coach. I am sure he will be welcomed back by everyone at Sussex Cricket and I look forward to him becoming an integral part of our coaching team." Sussex have reshuffled since the departure of head coach Mark Robinson to take up the coach's role with England Women. David was confirmed as head coach, Keith Greenfield has been appointed director of cricket and Carl Hopkinson has assumed Greenfield's role of academy director. 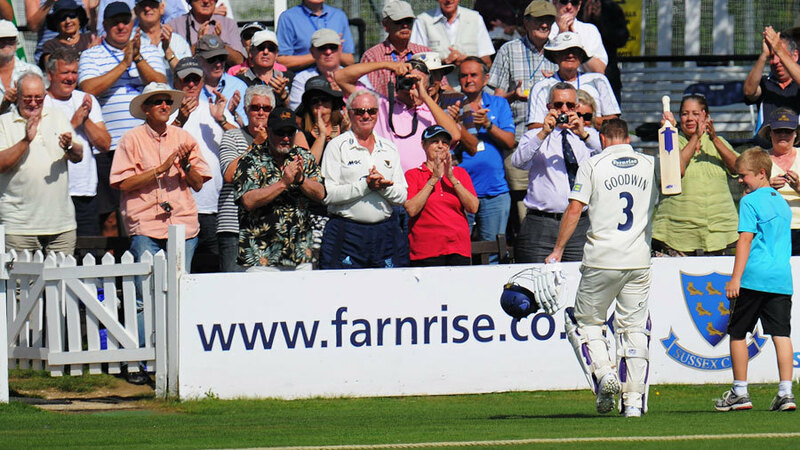 Goodwin scored over 24,000 runs for Sussex in all formats, including nearly 14,500 first class runs with 48 centuries and an average approaching 50. He left Sussex reluctantly at the end of the 2012 season before extending his playing career for another two seasons with Glamorgan.